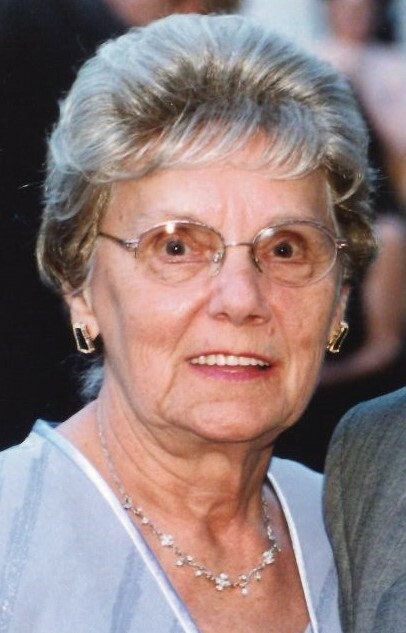 Obituary for Betty Jane (DelVecchio-Gorsky) DeNigro | Scala and Roefaro Funeral Home, Inc.
Mrs. Betty Jane (DelVecchio-Gorsky) DeNigro, age 92, of Utica, passed away on Wednesday November 28, 2018 at the Masonic Care Community. She was born in Rome, NY on March 7, 1926 a daughter of the late Elmer and Bertha Reczko DelVecchio and was educated in local schools. On November 21, 1981 she was married to Albert “Boots” DeNigro, a blessed union of 30 years until his passing on August 5, 2012. Betty was employed for many years at the Marcy Psychiatric Center, until her retirement. Surviving are her daughters and sons-in-law Barbara and Tim Taraska of NC., Robin and Charles Kincaid of Auburn and Teena and Armando Santiago of Webster, NY; her sister Dorothy Procopio of Rome; stepdaughter Lori Gonzalez, stepson Rocco DeNigro and several grandchildren, great-grandchildren, nieces and nephews. She was predeceased by her daughter Debra Berns, two sons Chester and Joseph Gorsky, and brother Elmer “Sooky” Del Vecchio of Rome. Relatives and friends are invited to attend her funeral services on Saturday December 8, 2018 at 11:30 am in St. Anthony/St. Agnes Church. Private interment will be in Calvary Cemetery. The family will greet all visitors at the conclusion of mass in church.